Most drivers will find themselves having to deal with collision damage at some point. If you’ve never had to take your car to the shop for collision repair, you may be wondering what types of damage your vehicle is most likely to sustain in an accident. These are some of the most common types of collision damage that repair technicians see. Unsurprisingly, the front of your vehicle is the most likely part to be damaged in an accident, which means that the front bumper is particularly vulnerable. In fact, this is the front bumper’s primary function—to protect the rest of your vehicle from taking the full brunt of the damage. In all likelihood, your front bumper will need to be repaired after a severe collision. Your vehicle’s tires and wheels are also extremely vulnerable to being damaged during a collision. Even if there is no visible damage to your wheels, there could be hidden damage that would make your vehicle unsafe to drive again. That’s why it’s important to have your vehicle checked out by a professional as soon as possible after an accident. While cars’ headlights are designed to be tough enough to stand up to the elements, collisions can seriously damage them. The damage can range from severe scratches to shattered plastic. When you bring your vehicle to the shop after an accident, the headlights will be inspected to determine whether they need to be replaced. 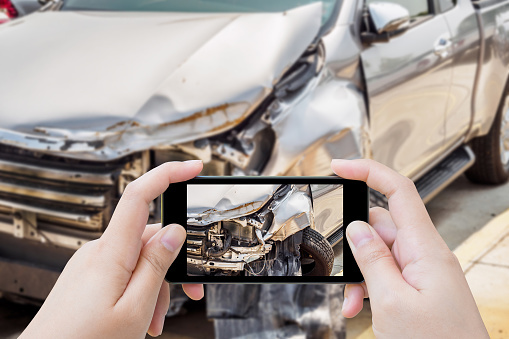 If your car has been damaged in a collision on the road, the team at Dave’s Body Shop can help. Our Utah body shop has been providing top-of-the-line repairs to the Utah community for decades. We can also help you navigate the insurance process to ensure that you’re treated fairly. You can schedule an appointment at our body shop by calling (801) 566-3906 today.